Salem Sowdeswari College is a treasure house of knowledge & information. In our library have all subject of books. We have books mainly in Computer, Electronics, and Textile fashion design, Physics, Chemistry, Mathematics, Technical Drawing, Management, and Biotech etc. It has been playing a very important role in the learning-teaching process and research activity in the College. The Library had been functioning on the first floor of the College Administration Building till the year 1975. Library services to its users effectively and efficiently. CD ROM has provided new dimension to information storage. The Library has 1400 CDs on various subjects. 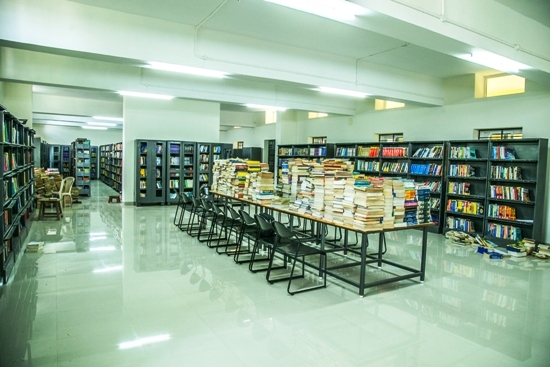 Dewey Decimal Classification Scheme is followed for the classification of CDs and accordingly CDS are arranged on the Shelves. Other College students and outside visitors are also allowed on production of valid ID cards, for valid requirements. This module facilitates the Library staff to procure and process new Books. This module includes all the circulation activities of Library such as issue, return, renewal, reserve, automatically generate reminders for overdue books. Book eligibility for using library.